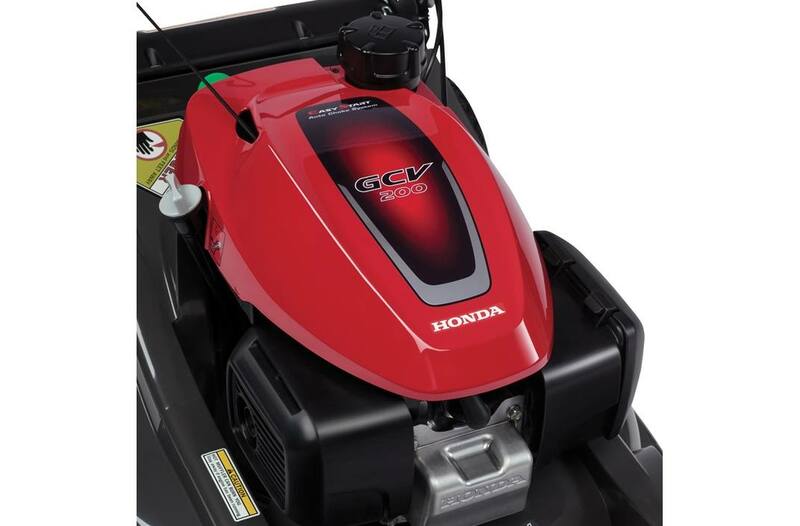 Powerful, reliable Honda GCV200 Engine: Easy-starting, fuel efficient, and powerful, Honda's premium residential GCV200 engine delivers even more power and torque than its predecssor. The result? 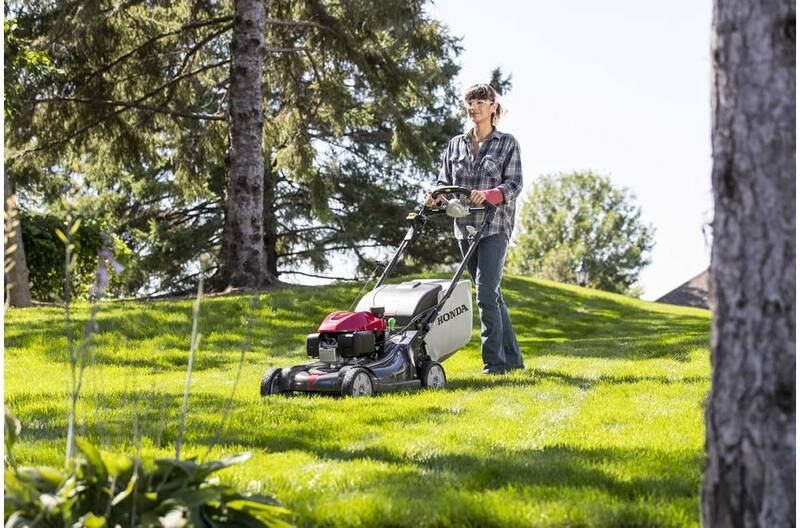 Superior mowing performance, and easier and faster cutting, even in heavy, thick grass. Increased power also means increased durability, providing years of reliable service. 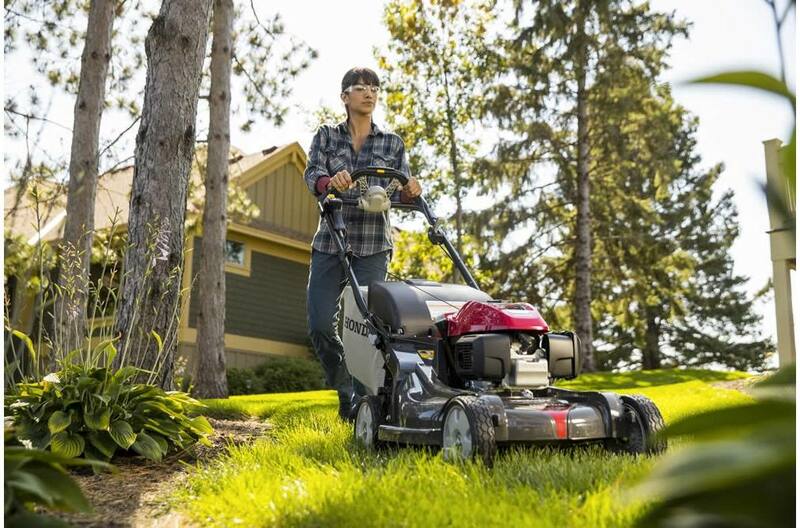 Choose your speed: Select Drive®: Easily adjust the mower's speed to your stride by rotating the speed adjust dial. 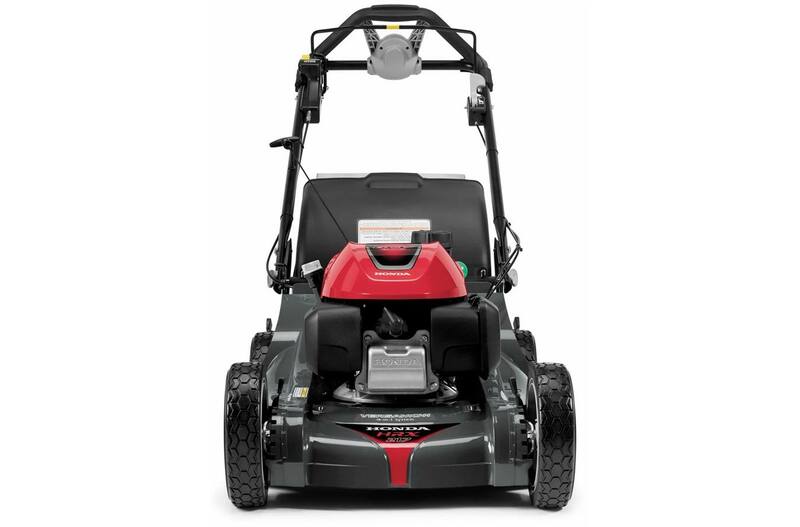 Then engage the Select Drive® control for intuitive, comfortable speed control. Variable speed from 0 to 4 mph. 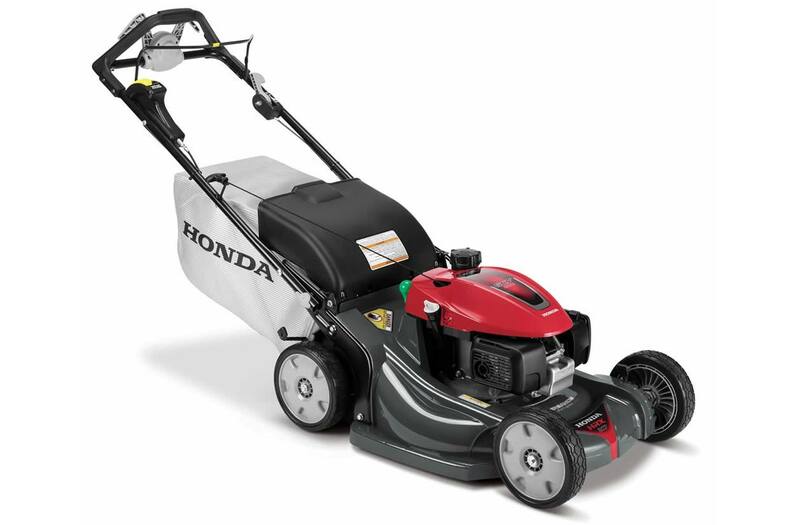 Rust-free, no-dent NeXite® mowing deck with lifetime warranty: The HRX's 21" deck is made of NeXite®. This high impact resistant material does not dent, rust, or corrode over time. So durable it comes with a lifetime warranty! Go further before emptying the bag: Smaller grass clippings mean more grass fits in the bag. So you can mow 30% farther before you have to empty the bag. 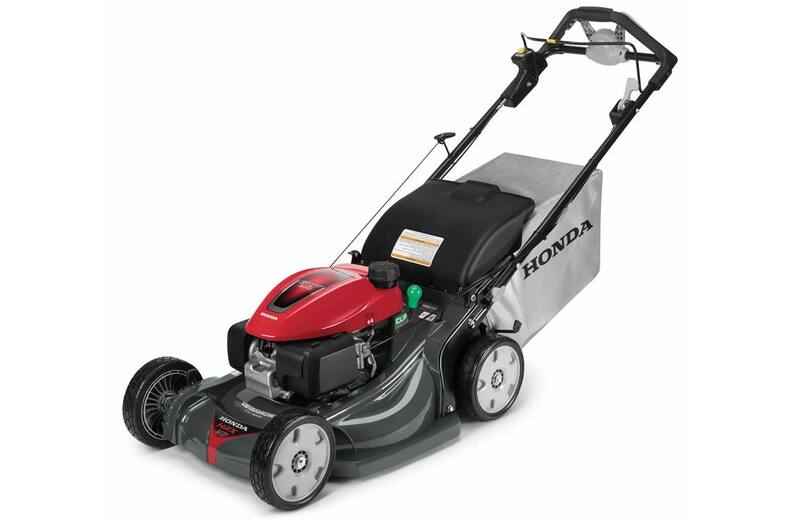 Make quick work of leaves, with no attachments necessary: The HRX design makes leaf shredding easy. Tiny pieces minimize the use of leaf bags for collecting debris. No attachments or tools are necessary. Large 9" ball bearing wheels: Ball bearings in all four wheels offer better maneuverability, smoother drive, and increased durability. 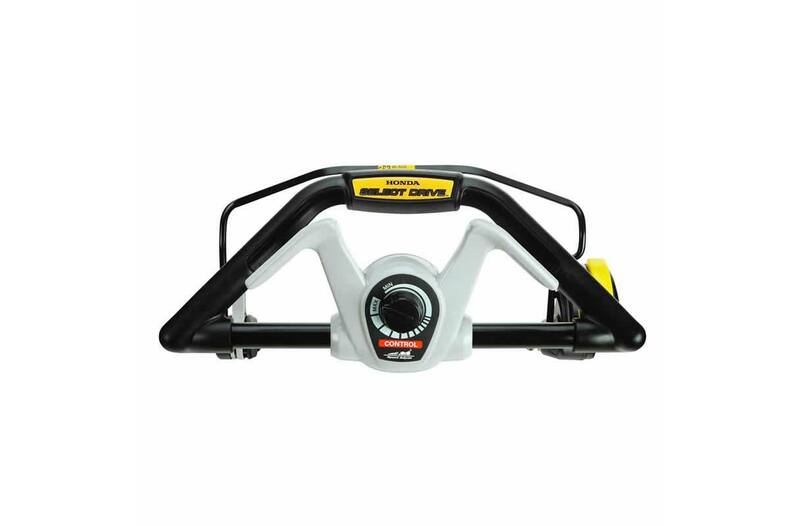 7 position cutting height adjustment (.75" to 4"): Convenient height adjustment levers to set mowing height for lawn conditions. Mowing height range: 3/4 in. - 4 in.